Though the origins of the tiny moon are still unclear, researchers think it shares a past with Neptune's second-largest moon, Proteus. Hippocamp is a tiny moon whose discovery required some innovation on the part of its observers. Neptune has a new moon, and it’s also the gas giant’s smallest to date — only a little over 20 miles across. The brand new satellite is called Hippocamp. Astronomers led by Mark Showalter of the SETI Institute discovered it using the Hubble Space Telescope combined with an innovative method to track dim and tiny objects as they orbit. Because the object is so tiny, there’s still a lot astronomers don’t know about Hippocamp, named after a Greek sea monster in keeping with Neptune’s nautical theme. But the moon does offer some clues about its history. For one, it orbits quite close to one of Neptune’s larger moons, Proteus. That, combined with its tiny size, makes astronomers think it may be a fragment of the larger moon. In fact, something like 4 billion years ago, an asteroid struck Proteus, leaving behind a crater that covers most of the moon’s surface. If Hippocamp is a product of this impact, as Showalter speculates, then it’s just a tiny piece of the total wreckage, about 2% of the total mass excavated from Proteus during the shattering collision. Whether the moon comes from that particular impact or not, scientists still think it’s likely that Proteus and Hippocamp share a past. Like our own moon and Earth, Proteus is slowly spiraling away from Neptune due to tidal forces. Hippocamp, being so much smaller, isn’t subject to the same forces – and it’s orbiting just where Proteus used to a long time ago. Hippocamp is tiny compared to Neptune’s other moons. The moon is so tiny and dim that most images of the Neptune system don’t reveal it at all. Astronomers had to guess at the object’s movement based on Newton’s laws of motion. By moving and stacking their images according to where they think the moon should be, they can artificially extend the exposure time of their images, brightening even very dim features. This new trick revealed the tiny moon, whose discovery is published February 20 in Nature. Astronomers still don’t know what Hippocamp is made of, but they’re assuming for now it’s similar to the material that makes up Proteus. 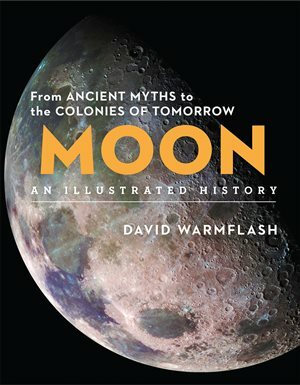 Showalter says that none of our current telescopes can resolve the moon well enough to say more. Showalter points out that Hubble, at 30 years old, is still one of the most powerful telescopes available to astronomers, and the only instrument, given its clear-eyed space views, that could have found Hippocamp.